Off Road Night at K1 Speed in Carlsbad! The show will be Co Hosted by 'Pistol' Pete. Also , Steve 'Chaplain' HAnson wfrom Racers for Christ will be in house. so come on down and join us. The TORR Girls will be there too! We will be talking about all of the happenings,Trials & Tribulations of last weeks 40th anniversary Score Baja 1000 plus what we can look forward to from Rob and and his outlook on CORR in 2008 plus whatever else come our way!. K1 Speed in Carlsbad with us and take it to the track! K1 Speed is located at 6212 Corte Del Abeto in Carlsbad. We will be down there racing from about 5pm on.The radio show will be Live at K1 Speed between 6-8pm and then more racing after the show ends. As always,The show is on air from 6-8PM on AM 1000 throughout San diego.You can also Listen Live via the website www.totallyoffroadradio.com. We definately want you to be a part of the show so stop by or call in. There will be a TORR racing discount of 25% on all races all night long plus we will be doing give aways. Live Questions,Type in your question and we will answer that way too. Thank you all for the support ,We look forward to seeing you at the track! It’s very special being here at the 40th anniversary of the Tecate SCORE Baja 1000. I hope I can do this for another 10 years and be here or in La Paz for our 50th anniversary. If you look at the times, how close some of these classes were after running 1,300 miles, it is just fantastic. I can’t really put into words I am feeling right now, but I am filled with incredible gratitude to all of our amazing SCORE race crew. And it would take me 40 years to thank every single racer who has made SCORE what it is today. Please accept my heartfelt thank you! -The 424 starters were the second most in race history (431 last year). -The 56.4% finishing rate is the 10th highest all-time for this race. Of the 40 races, the finishing rate has ranged from 25.6% (in 1978) to 70.2% (in 2000). This marked the 19th time that at least 50% of the starters have finished. The aggregate percentage for the 40 races is 49.59% (5,053 finishers, 10,189 finishers). -The field set a SCORE all-time race record for both number of states (44; all except for Arkansas, Delaware, Iowa, North Dakota, Rhode Island, South Dakota) and number of countries (20; Australia, Austria, Belgium, Canada, England, France, Germany, Guatemala, Ireland, Israel, Italy, Japan, Mexico, New Zealand, South Africa, Spain, Sweden, United States of America, Yugoslavia, Wales). This year 27 racers attempted to finish the course as a solo driver or rider, and six successfully accomplished their goal (15x Gabriel Williams, 48x Greg Godfrey, 281x Todd Harrison, 290x Colby Brinnon, 54a John Crowley, 309x James Curzon). Last year 37 individuals attempted to finish the 1,048 miles by themselves, with 16 succeeding. -Four vehicles averaged at least 50 miles per hour for the entire course; 1x Robby Bell, 3 Mark Post, 14x -Tim Morton and 4 Gus Vildosola. Last year two motorcycles surpassed the 50 mph average but five trucks accomplished it. 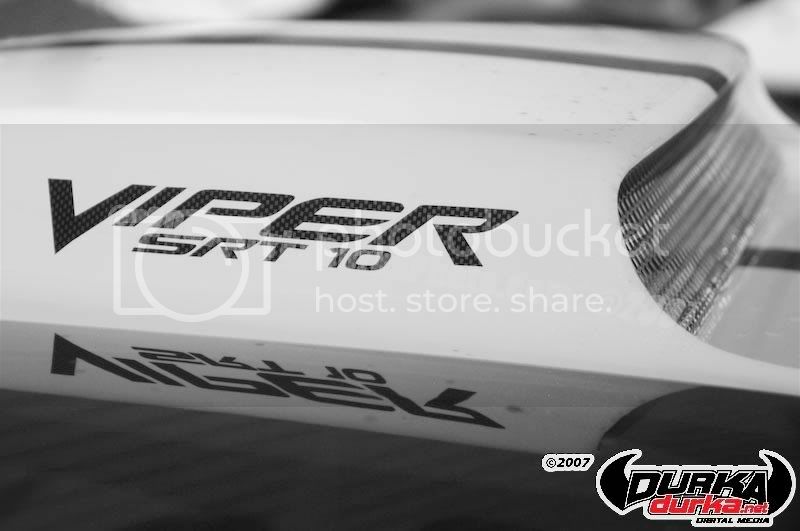 -The 2007 SCORE Baja 1000 finished in Cabo San Lucas for just the second time in the history of this race. There were six individuals who have won both times the course has done the Ensenada-Cabo San Lucas route; Troy Herbst (Class 1), Steve Hengeveld (Class 22), Johnny Campbell (Class 22), Craig Adams (Class 40), Chris Haines (Class 40 in 2000, Class 50 in 2007) and Richard Jackson (Class 50 in 2000, Class 60 in 2007). We had very little mechanical error on the truck this year. We had five wins this year. 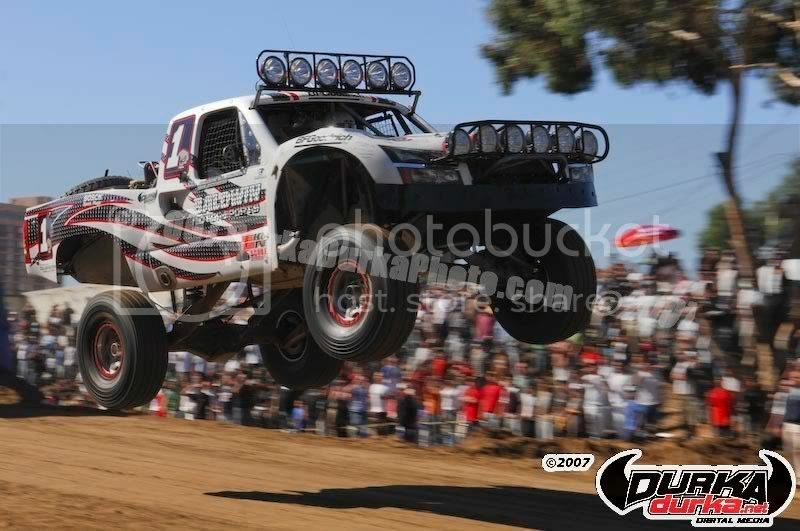 To win the overall SCORE Baja 1000 in the SCORE Trophy-Truck is a dream come true. The entire team did a flawless job. This is very exciting for Riviera Racing. This has allowed me to do what I want to do, to do what I love doing, come here and win the 40th anniversary of the SCORE Baja 1000. To come here and win the overall is pretty cool. I have never had the overall win and I finally got that done. In the middle of the night there are fires all along the course and it really keeps you motivated, you see everyone yelling out there. One thing I learned about Baja is up and down the Peninsula there’s always someone nearby. No matter if you break down and you’re out in the middle of nowhere you’ll see someone out there. We didn’t have any flat tires at all. NOTES: Post and MacCachren claimed their third class win of the season (along with the SCORE Baja 250 and the Las Vegas Terrible’s Cup III), winning every alternating event on the schedule. The duo also won the SCORE Overall Point Championship, becoming the first SCORE Trophy-Truck to garner that honor. One of just four SCORE Trophy-Trucks to complete all six events this season, they are the only one to have a top five finish in each as well. The class victory gave both drivers their seventh career race title, tying them for fifth place along with Robby Gordon. MacCachren has now won five SCORE Baja 1000 titles (two in Class 1 and two in Class 1-2/1600 before this year) while Post collected his first. MacCachren also duplicated his feat of winning the SCORE Trophy-Truck season championship (he won the inaugural title in 1994), making him just the third season champion to win multiple titles. I think we had a great race. It was definitely a very tough race. I am very proud of (my son) Tavo. Glad to be here. Our goal for this race was to be the first Mexican team to win overall. We were really close. We lost the brakes and that’s when it went downhill. My dad gave me the truck at race mile 321 and I think we were in seventh place. We got going and took an easy pace. We were the third truck on the road out of San Ignacio. We lost the rear brakes and we had to stop and figure out what we were going to do and lost some time. We had to run with only the front brakes. Once we got onto the technical stuff with the flat roads the truck wouldn’t turn. We were nursing a broken third member for 100 miles. We never ever thought we’d make it. The oil pump fell off. There were a few things under-prepped that let us down. The engine was perfect. Drove good and ran great all day. The ring and pinion went so we had to change it. We didn’t realize the rear-end had a crack. We found the crack and welded it and got to the next pit. I am glad I stuck it out. The guys did an awesome job. They got me going again. I lost transmission when I got to the highway. There was water in the bottom of the fuel tank. I drove from start to San Ignacio and we had some transmission problems. Notes: Baldwin entered the race just one point behind Post and MacCachren for the season point championship. Baldwin held a slim lead at the Bay of LA (around race mile 517) before falling behind. It was awesome. This is the first time that I have ever had a truck that was ready to go win. At race mile 200 we were in the top five. The throttle stuck going into a corner and I missed the turn and I got stuck. The mechanical issue we had all day was alternator problems. We had to spend some time changing belts. That was our only downfall. We are a very new team. I get in and the computer doesn’t work. For the first miles we had no waypoints. We got stuck in the silt. I kinda like driving without the GPS; it’s like the old days. I love it down here. I enjoy it. It’s a different challenge. I had a goal to get to the finish. As a new team I can’t complain. Today was a really big accomplishment for us. General SCORE Trophy-Truck Notes: Nineteen vehicles finished out of the 29 starters, the most finishers in this class in race history. In 2006, 16 of 31 starters crossed the finish line while in 2005, 17 of 30 did so. In 2004, 14 of 24 took the checkered flag and in 2003, 13 of the 24 finished. This marked the fourth straight year that a different SCORE Trophy-Truck team has won the SCORE Baja 1000 following a stretch of five years (2000-2004) which saw just two different winners. That was one heck of a race. We literally came through the pack and were third physically. The car was fantastic. With the little bit of rain we had there were mudholes all over the place but minimal dust. We lost pressure with our shifter and we broke a shock. Troy (Herbst) brought it home. It’s always an incredible feeling to finish the SCORE Baja 1000, it’s an incredible journey. We are really happy to be here. No flats today. Larry Roeseler started the day and did a heck of job. I want to thank all the fans across the course who were cheering and waving. I am just glad to be a part of this family and this organization. Notes: Roeseler won his third class title this season (along with the SCORE Baja 250 and Terrible’s Primm 300).This was also his 16th SCORE Baja 1000 victory, good for the second most ever, extending the winning streak to four straight years here. We raced very conservative all day, we had no tire issues. A year of preparation for the 40th Baja anniversary is what we planned for, so it was quite exciting to get to the finish. Our goal was to finish. I raced the first 700 miles with my co-driver. General Class 1 Notes: Billy Gasper finished in fifth place in this race, which ensured him the 2007 season points championship for the class. He entered the race with a 16-point lead over Roeseler, Ronny Wilson and Eric Chase. Roeseler’s victory earned him 15 more points than Gasper, leading to a one-point margin for the season total in Gasper’s favor. 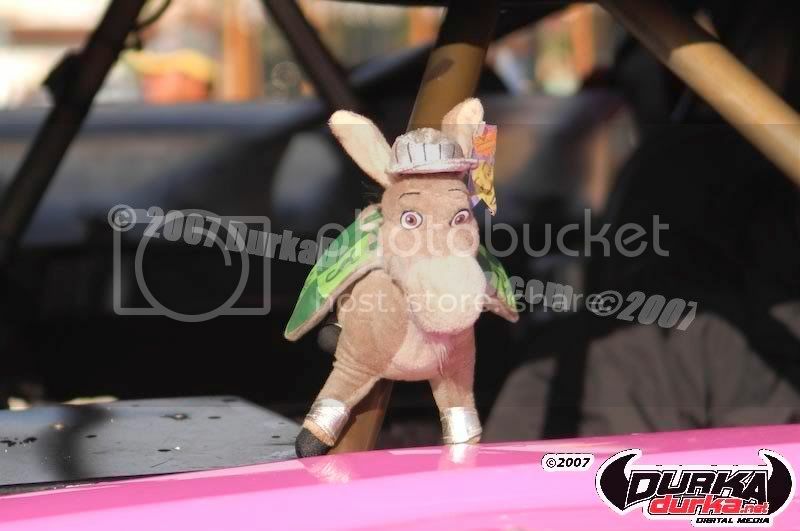 Gasper was one of only three racers to have completed every event, and with the exception of the Terrible’s Primm 300 he had a top 10 finish each time (one of only two racers with five top-10 placings). It was very tough. Many times we were in the front. I took the car from El Rosario to San Ignacio. I took the car again from Santa Rita to the finish. I had a lot of problems. The rear tortion bars don’t work anymore. I drove all night around eight to nine hours. It was very fun. I brought the car in first place. The last section was super slow. We got traction and we made it. This is my first year in the car. Notes: Ramirez became the sixth different driver to collect a class win this season (in six races). In the SCORE Baja 1000 history of this class, there have been different winners in each of the last six years. Ramirez won by a slim margin of just 70 seconds. It was long; it took us over 30 hours. I did the first 470 miles. It took me 13 hours. We are excited to be here. We had two flat tires and a couple clutch problems. I pre-ran my section four times. It started with losing my tortion bars. I drove over to Urapan adding 80 miles to my race in order to get that fixed. My chase crew put on the new ones. I had to go back to the race course. (Ramsey wore a helmet signed by past overall winners- Walker Evans, Larry Ragland, Ivan Stewart, Jimmy Smith, Spencer Murray, Vic Wilson, Bruce Meyers, Johnny Johnson, Rod Hall, Mark McMillin, Andy McMillin). I wore it the whole way. This is the seventh time I finished here in Baja Sur and it’s probably the last time. It’s been a long day. A lot of stuck cars, people in the way. You spend a lot of time. You can’t go anywhere, you gotta push other people. Notes: For the sixth straight season, Donald Moss has won this class in the SCORE Baja 1000 race. Moss also was victorious in this year’s SCORE Baja 500 and Terrible’s Primm 300, but this ended a run of five consecutive season point championships, with that honor belonging to Dylan Evans (who placed second in the SCORE Baja 1000). Moss also won his 25th career class victory. Notes: Drew Belk became the fourth different racer to win a class title in the five races this season. This was his fourth consecutive top-five finish in the SCORE Baja 1000, having finished second, fifth and fourth leading up to this year. We had two flats. We ran out of gas two times. We have a 22-gallon tank. We got lost for two hours. We couldn’t find the pit. The last miles are very tiring. Notes: Ernesto Arambula won a SCORE Baja 1000 class title for the fourth time. He won in this class twice before (in 1987 and 1996), while claiming a Class 7 victory in 1988. In the past four years in the SCORE Baja 1000 he has placed fourth, second, seventh and third before getting the win this season. It was a long race. 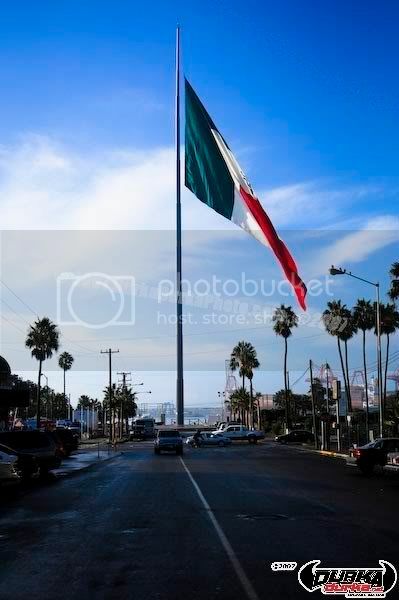 I drove from Bay of LA to Insurgentes, about 500 miles. Notes: Don Chamlee sealed the points championship with his second victory of the season (also having won the SCORE Baja 500). After placing second two straight times in the SCORE Baja 1000 (in 2003 and 2004), Chamlee has now won for the second consecutive year. Notes: Mike Horner won for the third time this season, adding to his trophies from the SCORE Baja 250 and the Laughlin Desert Challenge. The victory marks the fourth career SCORE Baja 1000 win for Horner, who previously won in 1985, 2002 and 2003. Notes: Noe Sierra became the fourth unique winner (out of five races) in the 2007 SCORE Desert Series with the class win. It takes a lot of effort to do this. I got stuck out there so bad it was unbelievable. I didn’t think we were going to dig our way out. There was a right hand turn we didn’t have marked on our GPS and we went down a wash and buried it. We have been digging and scraping for an hour and a half. It was hard. 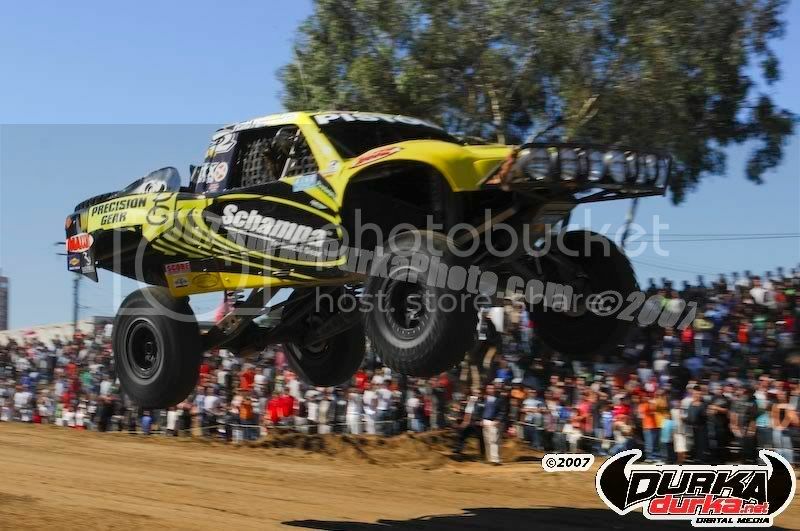 I wanted to win this race because I have never won the SCORE Baja 1000. This is an accomplishment. We fought back. We couldn’t see anything from Bay of LA to San Ignacio because there was fog out there. Notes: Glen Greer ended the year strong, winning both the Terrible’s Primm 300 as well as the SCORE Baja 1000. Notes: The course was not kind to Class 9 vehicles, as of the three starters, only one made it to the first BFG pit (race mile 121), and the one that did, Gary Dixon, was unable to reach the third pit (race mile 321). I started and I finished. I got it back in the lead in good shape so we just had to keep it. We had one flat and a lot of silt. We pre-ran the course but it got a little more tore up than it was in pre running. The rain up north helped me because I got out front and the silt wasn’t a problem. (The win) is huge for us. Notes: Cullen was bound to win the SCORE Baja 1000 after improving from eighth place in 2004 to third in 2006 to his first place finish this year. He is the fourth unique winner among this year’s six races. The car has had no third gear since mile 200. It was pretty tough. No flats. I got stuck just before Todos Santos in the silt. Getting to the finish line was the best part about this race. This is my seventh SCORE Baja 1000 win. Notes: Noe entered the SCORE Baja 1000 with a lead in the season points race despite the fact he had yet to win this year, as five others had won the five competitions. Noe had all top 10 finishes this season, including four in the top four. With his second straight SCORE Baja 1000 victory, he became the first ever defending champion to repeat since the class started in 1997. Notes: Ramon Fernandez must have wanted to be the last official finisher of the 40th anniversary of the SCORE Baja 1000 – what else could explain his finish time of 53 hours exactly, which just happens to be the time limit for every vehicle (meaning one second later and he would not have been considered an official finisher). That was 37 Hours of fun. We had no problems at all. We got stuck in Santa Rita silt beds but I never got out of the car. We paid a guy 100 bucks to tow us out with a tractor. The transfer case didn’t work and we didn’t have 4-wheel drive. Notes: Chad Hall ended the season the same way his brother Josh began the year – by winning a Stock Full race. Josh won in Laughlin in January, while Chad won a SCORE Baja 1000 title for the sixth time (also in 1995, 2001, 2002, 2003 and 2004). The win also means that one of the three Halls (the two brothers plus father, legendary racer, and one of this year’s Grand Marshals, Rod) has been the driver of record on the winning team in the SCORE Baja 1000 for the seventh straight year and 11th time in the 15 years of this class’ history. After nine years in a Hummer, this is my first full season in this. This is much more fun to drive. This is much faster but I’m not use to getting stuck. This is like sitting in your couch in the living room. I won five championships and in 20,000 race miles I was never stuck until today. Driving that (his old vehicle) was like crashing an airplane. We had an hour lead at checkpoint 7. We lost the rear-end. We had great race going here. These tires are too aggressive for the course. I ran the first 300 miles and then the last 300 miles. To pull off 40 in a row is pretty amazing. We had a great race but it was probably the most stressful race I’ve ever had. If I had to do another like that I’ll quit. Thanks to our sponsors, they allow a working man to be able to come down here. Now it’s time to relax and enjoy. I was able to flag off the first few SCORE Trophy-Trucks (Hall served as one of the race’s Grand Marshals). That was my first time seeing the start. There is so much energy at the start line. Notes: Rod Hall won for the fourth time in five races this year in Stock Mini. 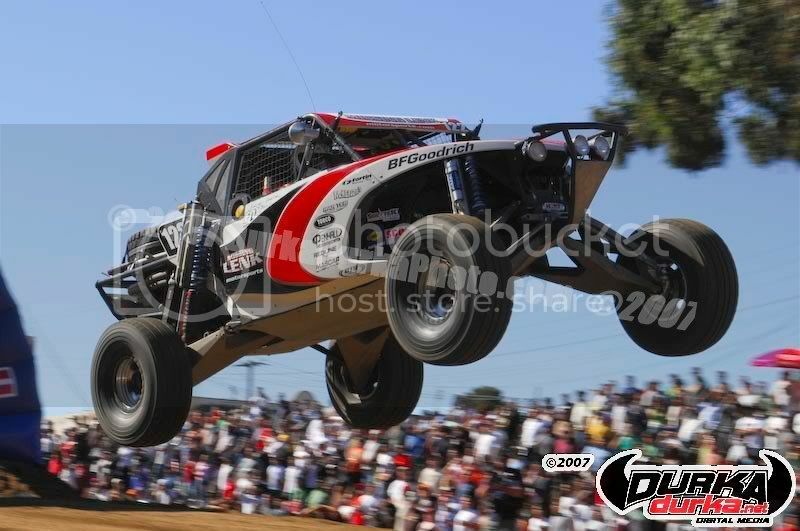 The all-time leader in class championships in SCORE Baja 1000 races, Hall extended his title total to nineteen. He won in the first ever edition of this race (in Production, 4wd class) in 1967, and with the exception of 1970-1977, has never gone more than three years without winning a SCORE Baja 1000 title. 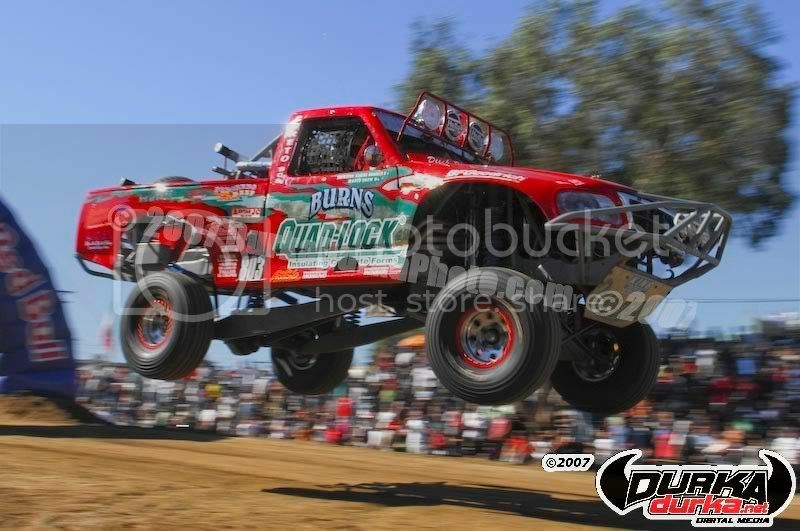 He is one of just two racers to compete in all 40 SCORE Baja 1000 races. They gave me the truck in the lead and all I had to do was win it – I had the easy part. I drove the third section. Notes: Johnson became the fourth different winner in the five races this season. He won the SCORE Baja 1000 for the third time in four years, also crossing the line first in 2004 and 2006, meaning he has won the last three times the course has ended in Baja California Sur. Nuckles was also part of the winning team in 2005 (with Jeff Dickerson). Notes: Mike Shaffer became the first in Class 17 to finish a race this year, taking the checkered flag ahead of the only other competitor to complete a race this season (Norman Cesena Jr.). Shaffer also won the SCORE Baja 1000 last year, and his two wins are the most by any racer in this class (which began in 2003 but had no official finishers in 2004 or 2005). Notes: Ted Holt was the only starter in the inaugural Jeepspeed race in the SCORE Baja 1000, but was unable to finish. Started out good, we got a good lead. We had a few issues and my son (Matt) brought it home for us the last 300 miles. Rich Benga led by about 70 miles at one time but then it got real tight. We won by 85 miles, kind of blew the field away. We got hit early by a SCORE Trophy-Truck, it was backing up trying to get out of a rut so that set us back. That happened eight miles into the race. After six years it’s nice to get a win – we’ve had a second, two fifths and a sixth. Notes: Jim Christensen became the fourth different winner in this class in the last four years of the SCORE Baja 1000. Amazingly, all 18 starters were able to complete the course in the allotted time, doubling the finish rate from 2006 (last year 10 of the 20 starters were able to finish). I got on the bike at Loreto and we were out in front by about a half hour. We were leading by (BFG) Pit 1. I went through the mountains of San Javier and soon as I hit Insurgentes, it was like blackout through the fog all the way to Santa Rita and it was really difficult. You don’t know where the livestock is and the lights don’t pick them up. It was one of the most hectic times of the ride and then it cleared up again and I got going on the pace, and I just tried to ride as smooth as possible to bring it in safely without any mistakes. The bike ran flawless, the Honda 450x is an awesome machine. The engineers at Japan, American Honda and Precision concepts, without those guys we wouldn’t be here today. It was a dark night and there wasn’t a moon and the lights worked flawless. Nothing went wrong. I pre-ran my section five or six times. I learned where the cattle was going to be at different times of the day, learned their patterns and everything worked out. There’s some pressure to win but I don’t let it bother me, I come out here to do what I do. You have to be smart out there. You have to pace yourself. This my 10th SCORE Baja 1000 win and it feels good. We got blessed with some rain up north which helped us out. Everything we did in planning all year worked out. It takes a team to be successful down here. I have never done this before all the way to Cabo. We had a flawless run. The rain made the best conditions I have ever seen in Baja. No dust. It made a different race. Everything was perfect. The course was amazing and I am really thankful to be here right now. Getting a little bit of rain made it a lot safer off the start. We had the best team and the best bike. We tried to not make any mistakes and get in the lead and get clean air. My teammates did an awesome job. Notes: The American Honda team won by a “mere” one hour, 18 minutes and 55 seconds over the next fastest motorcycle. Bell completed the sweep this season of the three races in Baja, winning each one. As has been the case every year since 1993 (when Ivan Stewart was the fastest overall finisher), a motorcycle clocked the fastest time in this race. This year’s margin was over an hour quicker than the first SCORE Trophy-Truck, marking the biggest time difference since 1991. The win was the 18th time a Honda has won the SCORE Baja 1000 and extended the streak to 11 straight years. Individually, the riders padded their impressive resumes with this victory. 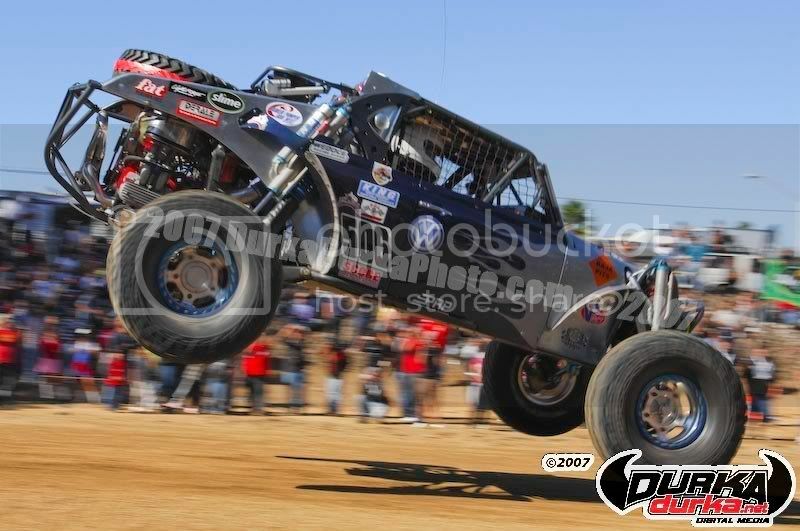 Johnny Campbell claimed his 10th SCORE Baja 1000 title, and all 10 times he was the overall fastest finisher. Hengeveld kept pace with him with his 10th victory in this race, and extended his current winning streak to six consecutive years. This was the seventh time Hengeveld was part of the overall fastest team, second only to Campbell in that department. I am the oldest finisher so far (physically was the second finisher); I am 41. It feels good to be here ahead. I have ridden some pretty cool bikes before and this was really special. I want to thank Johnny Campbell and Bruce Ogilvie for having the faith in me to ride one of their bikes. It was a really good race. We passed the KTM and had heck of race. We put a little bit of time on them. We have a competitive team and a competitive bike. We will be back next year. At mile marker 320 we got a flat tire. That really put us back 45 minutes. We played catch up and kept it on two wheels. At race mile 308, Todd Hafler, our second rider on the bike, crashed. Our first rider got turned around. Everyone was riding unfamiliar course since we all moved up but we got to the finish. Todd has some injuries. He ended up with a broken wrist and broken jaw. His cat scan turned out okay. We don’t know exactly what he hit. Quick response by SCORE for the airlift. SCORE got the rider into a class A hospital. Absolutely outstanding. They airlifted him on a helicopter and transferred him to an airplane and got him to Scripps Hospital in San Diego within two and half to three hours of the accident. Weatherman was on it. SCORE immediately had rescue enroute. They did a good job on that. It took a couple hours to get the next rider to the bike. We lost three hours moving riders. My light quit, so I had to stop for an hour and half and wait for daylight. I slept that long, it was the only break I got. You kind of decide you are going to try it (SCORE Baja 1000) and when you actually do it, it’s pretty cool. It’s very special. It’s a big privilege. It makes it worth it. It was fun and long. I have never been on a motorcycle that long. We had some problems that got us late but we had less problems than the rest of the guys in our class. We had some first time guys riding with us. Brett (Harding) gave us a 20-minute lead right out of the gate. Our rider of record (Francisco Arredondo) broke his hand the day before the race. Notes: Arredondo got the win, quite an improvement over his 11th-place showing at the SCORE Baja 500. Second-place finisher Carlos Casas had won the other two races this season. This marked the third straight SCORE Baja 1000 race with a different winner, following a period of six years with just two different winners. Notes: This class was reinstated as part of the SCORE Baja 1000 last year after an 11-year hiatus. Ryan Penhall took the checkered flag, completing his sweep of the three races this season. I had the best time, just an awesome ride. I’ll have a much better time once about four minutes goes by (to ensure the class victory). I got on around Santa Rita and brought it in. Notes: Jim O’Neal took a stab at Class 30, after winning three classes in last year’s SCORE Baja 1000, and the result was the same – another victory. Combined with his 2004 and 2005 wins, he now has claimed six SCORE Baja 1000 victories in four different classes. The 61-year old rider has won in Class 30, 40, 50 and 60. All 11 starters completed the course in the allotted time, compared to 11 of 15 last year. Notes: Brett Helm led the pack, with a class victory of over one hour faster than the next competitor in Class 40. Helm is the only racer to win since 1998 other than Chris Haines (winner every year between 1999 and 2003) and Jim O’Neal (winner in 2004, 2005, 2006) in this class. All 15 starters were official finishers, a vast improvement from last year’s 40% rate (four of 10 starters completed the race). We had a really great team and everybody did an outstanding job and we’re happy with the results. SCORE put on a great race for the 40h anniversary and I think it’s going to be one people remember for a long time. I don’t know how many years of riding I have left. The best part is being teamed up with a great bunch of guys with all their experience and the camaraderie of it. It was fast and flawless. I just rode to get to the finish line because we had an hour and half lead and I wanted to make zero mistakes. You got to play it real safe so you don’t throw away a win. Notes: Chris Haines’ win meant that three unique racers won the three different races on this year’s schedule. 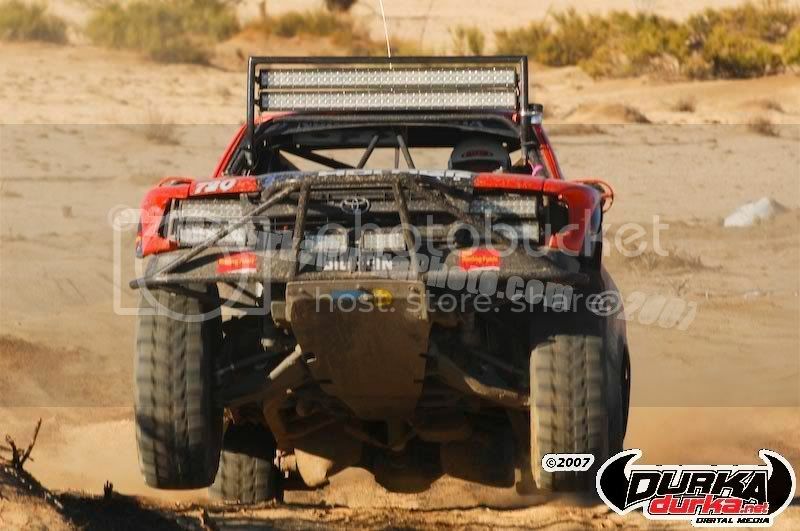 Haines is starting a new win streak in the SCORE Baja 1000 as he collected his 13th career victory in this race. First winning in 1987, he added four more victories in a five-year span before reeling off seven consecutive from 1999 to 2005. I didn’t do everything I could but it was enough. I raced with Chris Haines last year but never saw the bike. 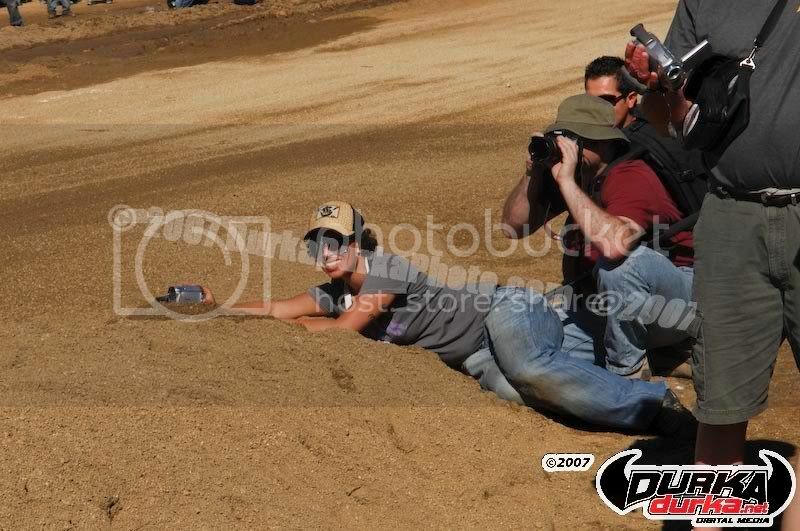 So this was the first time testing everything (since his accident in the 2004 SCORE Baja 1000 in which he broke his arm). The day before the race this year one of the Co-riders says he had too much to ride so I pre-ran an additional section, about 50 miles through some rough course. Bill Nichols got it at about race mile 1100 to the finish. He is 67 years old and I cannot wear him down. He is a tough old bird and quite an asset to the sport. Notes: This class saw three different winners in the three races this season. Jackson outlasted Donald Lewis, the winner of both last year’s SCORE Baja 1000 as well as this season’s SCORE Baja 250. This was definitely a big win for us. It’s been a rollercoaster ride but one of the best days of my life. We overcame some huge problems at first and had a little luck on our side and everything just fell into place. We ran out of gas a couple of times. We were down two hours at one point. Notes: Prather won all three races this season, giving him five consecutive victories in SCORE races (also won last year’s SCORE Baja 500 and SCORE Baja 1000). This marks the first time since 1991-92 that a racer has been able to successfully defend their title in Class 25 in the SCORE Baja 1000. His margin of victory was less than 10 minutes. It was a great day today. No flats. No problems on the bike. Great course but rough. This race was flawless. Notes: Francisco Servin posted nearly an eight-hour victory over the next fastest finisher in the class. Servin won for the second time this year, as he was also victorious in the next longest race, the SCORE Baja 500. We continued on the second leg and went to mile 530. The car ran flawless, no flat tires. Ten members were in the car, everybody that raced the car chased the car. When they weren’t racing, they were chasing. At race mile 1,200 we broke the front arm. The last 70 miles, we strapped it down with a tie down and limped it in. We were up with the pack of 1600’s. We managed to get it in here and get it finished. 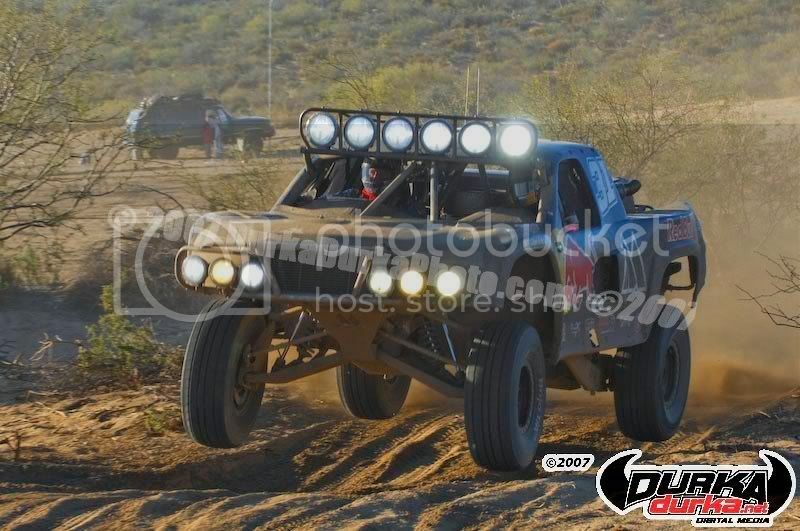 This is our first SCORE Baja 1000. We did it - finish it and win. I started from the start to mile 110. My sections were very technical. I did three trips to pre-run. This is my second SCORE race. CABO SAN LUCAS, Mexico—Starting his 70th birthday party a bit early, venerable veteran desert racer Rod Hall lit the candles on his celebration by earning a record 19th class win during the final hours of the legendary 40th Annual Tecate SCORE Baja 1000 desert race Thursday. As the final checkered flag drop early Thursday evening for the last of a race-record 239 official finishers in the 40th annual Tecate SCORE Baja 1000, it was obvious that another incredible and colorful chapter had been added to the legacy of this popular desert race down the majestic Baja California, Mexico, peninsula. The personable Hall who lives by the adage that ‘you have to first finish, in order to finish first,’ split the driving with his oldest son Josh who lumbered their Team Hummer H3 into the finish line just before sunrise on Thursday, earning the Stock Mini class win and yet another chapter for his family in his remarkable desert racing career. With 19 class wins, he is the only racer who has competed in a car or truck in all 40 Baja 1000 races, Hall’s son Chad was also a class winner, coming in a few hours before his famous father to win the Stock Full class in the very first race of a Hummer H3 Alpha, earning his sixth career class win in the race. Between them, Rod, Josh and Chad Hall are the winningest family in the history of the race with 29 career class wins. The near race-record 424 starters from a SCORE-record 44 U.S. States and a SCORE-record 20 countries, represented the second largest field in the history of the desert classic. 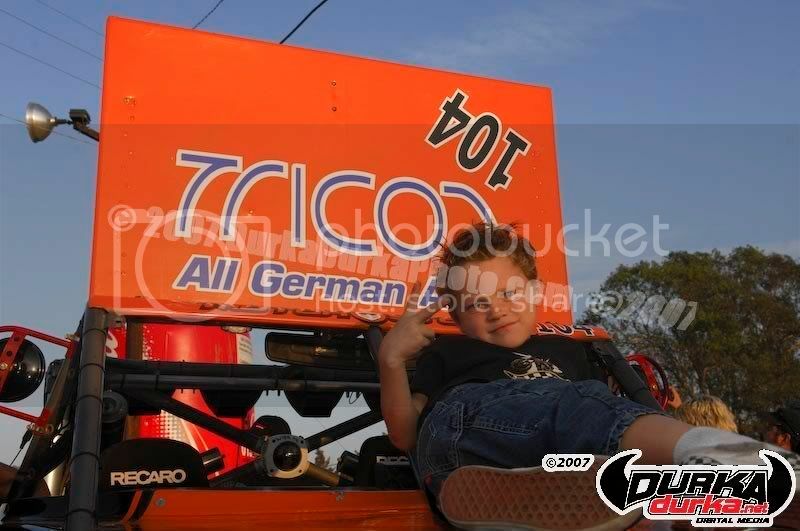 They competed in 28 Pro and 6 Sportsman classes for cars, trucks, motorcycles and ATVs. The race was the season finale of the six-race 2007 SCORE Desert Series, the world’s foremost desert racing series. Mexico tourism officials estimated record crowds of nearly 350,000 spread out along the course from Ensenada down both sides of the Baja California peninsula to Cabo San Lucas. In an yet another impressive display of power and poise, American Honda motorcycle teammates Robby Bell, Steve Hengeveld, Johnny Campbell and Kendall Norman along with the team of Mark Post/Rob MacCachren/Carl Renezeder posted the overall motorcycle and 4-wheel victories early Wednesday to lead the field. The finish line on the outskirts of Cabo San Lucas closed quietly at 6 p.m. Thursday, just after the VW sedan driven by Mexico’s Ramon Fernandez became the last of the SCORE record finishers, ending the 53-hour time limit each starter had to complete the journey. The granddaddy of all desert races, the flagship event of the world’s foremost desert racing series was a rugged peninsula odyssey of 1,296.39 miles from Ensenada in Baja California to Cabo San Lucas, Mexico, Baja California Sur. It was the 33rd time the race started in Ensenada, and just second time it finished in Cabo. First to cross the finish line was the No. 1 Honda CRF450X of Bell/Hengeveld/Campbell/Norman, who methodically marched down the grueling course to an overall winning time of 24 hours, 15 minutes, 50 seconds. Bell, as rider of record took the green flag in Ensenada Tuesday morning, followed by Norman, Campbell and Hengeveld captured the checkered flag, after riding for most of the night portion of the race. The team average speed over the tougher-than-usual course was 53.43 miles per hour. While the American Honda teammates rode the fastest vehicle in the demanding race, Post, San Juan Capistrano, Calif., MacCachren, Las Vegas, and Renezeder, Laguna Beach, Calif., split driving in the No. 3 Riviera Ford F-150 won the featured SCORE Trophy-Truck division, leading all four-wheel vehicles to the finish line by covering the extremely demanding course in 25:21:25, with an average speed of 51.13mph. Winning the unlimited Class 1 for an amazing fourth straight year Larry Roeseler, Hesperia, Calif. and Las Vegas’ Troy Herbst were third overall 4-wheel finishers with a class-winning time of 26:30:10 in the Terrible Herbst Motorsports Ford-powered Smithbuilt desert race car. In earning a SCORE record 23rd race win since 1997, the remarkable open-wheel race car will be retired to permanent display at the Terrible Herbst Race Shop in Huntington Beach, Calif.
Roeseler’s 16th class win in the Tecate SCORE Baja 1000 moved to second by himself on the all-time class win list in this race. Troy Herbst now has six career class wins in this race. Giving Honda its 11th consecutive victory and 18th total overall win in this desert racing classic. Hengeveld, Oak Hills, Calif., reached the finish line in Cabo San Lucas at 6:55 a.m. Wednesday. Hengeveld, of Oak Hills, Calif., earned his 10th class win including seven Overall motorcycle titles and extended his winning streak to six Bell, Murrieta, Calif., earned his first class win in this race, Campbell, San Clemente, Calif., won his 10th overall motorcycle crown while Norman picked up his second. For Post and MacCachren, their third race win of the year was the fifth class win in this race for MacCachren and first for Post. The first overall win in the SCORE Baja 1000 also earned Riviera Racing its first SCORE Trophy-Truck season point championship. “This has allowed me to do what I want to do, to do what I love doing, come here and win the 40th anniversary of the Baja 1000,” said MacCachren, a three-time selection to the Auto Racing Writers and Broadcasters All-America Motorsports Team. “To come here and win the overall is pretty cool. I have never had the overall win and I finally got that done. In the middle of the night there are fires all along the course and it really keeps you motivated, you see thousands upon thousands of fans spread out along the course and cheering you on. We didn’t have any flat tires at all because BFGoodrich Tires are simply the best”. Finishing second overall among four-wheel vehicles and in the marquee SCORE Trophy-Truck division was the Mexican father and son team of Gus Vildosola and Gus Vildosola Jr. in a time of 25:42:20 in the No. 4 Vildosola Racing Ford F-150. Fourth overall and third in SCORE Trophy-Truck was NASCAR Owner/Driver Robby Gordon, Mooresville, N.C., last year’s overall champion with Andy McMilin with a time of 27:26:44 in the No. 71 Robby Gordon Chevy CK1500. A very surprising fifth overall and third in Class 1 was the team of Steve Strobel, Clarks, Neb./Gay Smith, Colorado Springs, Colo./Bob Lofton, Westmorland, Calif., with a time of 27:26:44 in a Jimco-Chevy. In the manufacturer’s battle of ‘beat the Baja’ research and development, a Ford-powered vehicle won for the 12th time, and BFGoodrich returned to its pre-eminent position after it’s string of 20 straight wins was broken last year. The near race-record 424 starters is second-only to last year’s 431. The SCORE record of 239 finishers broke the race-record of 234 set in this race last year. The finishing percentage this year was an impressive 56.4 percent. In the SCORE Lite class, Tim Noe, San Diego, Tom Watson, El Centro, Calif., Gary Arnold of El Cajon, Calif. and Vic Bruckmann, Lemon Grove, Calif., finished ninth overall in a Jimco-VW to earn the $10,000 Contingency bonus from Volkswagen of America for being the highest finishing VW-powered vehicle in the race. Mexico’s Arnoldo Ramirez/Misael Arambula, Jacob Gutierrez defeated a large field of 25 starters to win Class 1-2/1600 in a Curry-VW while the unbeatable Moss Brothers, Donald of Sacramento, Calif. and Kenneth of Marrysville, Calif., continued to dominate Class 3 with their sixth straight win in the race in their sturdy Ford Bronco which has now won a class-record 25 SCORE races. Running against a formidable field of 20 starters in Class 5/1600, Mexico’s Ernesto Aramblua/Roberto Green/Adolfo Arambula/Hector Ramos, had a victory margin of nearly an hour and a half in their VW Baja Bug in Class 5/1600. Winning back-to-back SCORE races to end the 2007 SCORE season, brothers Glen Greer, Green Valley, Ariz./Thomas Greer, Tucson, Ariz./Bruce Greer, Oro Valley, Calif. and Shane Pavolka, Vail, Ariz. Topped a field of 13 trucks in Class 8. In Class 7SX, the Sierra brothers Noe and Tony, of San Bernardino, Calif., and Fontana, Calif. won a hard-fought battle of Ford Rangers with Rich Severson, Mesa, Ariz., winning Class 7SX over a field of 11 starters. Winning the Protruck class in a Ford F-150 for the third time in this race was Rick L. Johnson, Oak Hills, Calif., with help from his teammates Dane Cardone, Huntington Beach, Calif., and Jimmy Nuckles, Brawley, Calif. In Class 50 (racers 50 years and older), riders Chris Haines, Dana Point, Calif./Jack Johnson, Boulder City, Nev./Craig Adams, San Clemente, Calif./Scott Pfeiffer, Costa Mesa, Calif./Jimmy Sones, Banning, Calif., on a Honda XR650R. Haines now has 13 class wins in this race while Johnson has won 12 titles, Adams (who was also a co-rider for the Class 40 winning team) he now has 11, Pfeiffer has five and Sones got his third. Veteran motorcycle racer Jim O’Neal, Chatsworth, Calif., pulled of his first Class 30 victory in this event, aided by the help of teammates Scott Myers, Sun City, Calif./Jeff Sheets, Henderson, Nev./Francisco Septien, Ensenada, Mexico/Taber Murphy, Wenatchee, Wash./Mouse McCoy, Santa Monica, Calif./Jimmy O’Neal Jr., Chatsworth, Calif. They rode a Honda CRF450X. O’Neal increased his class win total to six with the win. In Class 40, Brett Helm, Poway, led a talented team to victory on a Honda CRF450X. Besides Helm and Adams, also riding were Jeff Kaplan, Thousand oaks, Calif., and Bob Johnson, Temecula, Calif. In the super veterans Class 60 (riders over 60 years old), Richard Jackson, Acton, Calif., led a grizzled team to victory on a Honda CRF450X. His riding partners were Bill Nichols, Peoria, Ariz./Gary Colbert, Bishop, Calif./John Etchart, Hemet, Calif./Gary Vanderpool, Morgan Hill, Calif. It was Jackson’s first SCORE race since being seriously injured in the 2004 Tecate SCORE Baja 1000. It was both Jackson and Nichols’ sixth class win in this race. Other class winners included Dan Chamlee, Summerland, Calif. (Class 7, Ford Ranger), Mike Horner, Mission Viejo, Calif., (Class 7S, Toyota Tacoma) and Francisco Arredondo, Guatemala (Class 21, Honda CRF450X). The special Baja Challenge class for identically-equipped Subaru-powered Baja touring cars that helps introduce crossover racers and celebrities to SCORE desert racing saw all 18 starters finish and was won for the first time by the team led by Jim Christensen, San Juan Capistrano, Calif. The unique Sal Fish SCORE IronRider Award offered to any motorcycle and ATV racer who finished the race while riding entirely solo drew 25 total riders and six of them made it to the finish line within the 53-hour time limit. Sal Fish SCORE IronRider award winners were: Gabriel Williams, Provo, Utah (33:16:08, Class 22-Honda CRF450X) (FASTEST SOLO RIDER); Greg Godfrey, Draper, Utah (40:14:12, Class 22-KTM 520XC); James Curzon, Jackson, Wyo. (52:38:11, Class 30-KTM XC510); Todd Harrison, Center, Colo., (46:17:12, SPT M/C>250cc-KTM XCW525); John Crowley, Flagstaff, Ariz. (51:12:18, SPT ATV, Honda TRX450R). The 2007 SCORE Desert Series also included the chase for the $75,000 Kartek Off-Road contingency bonus to be awarded to several 2007 SCORE Class point champions along with the run for the $12,000 Toyota True Grit and Toyota Milestone Awards. The race included the special $40,000 cash contingency purse provided by Volkswagen of America. 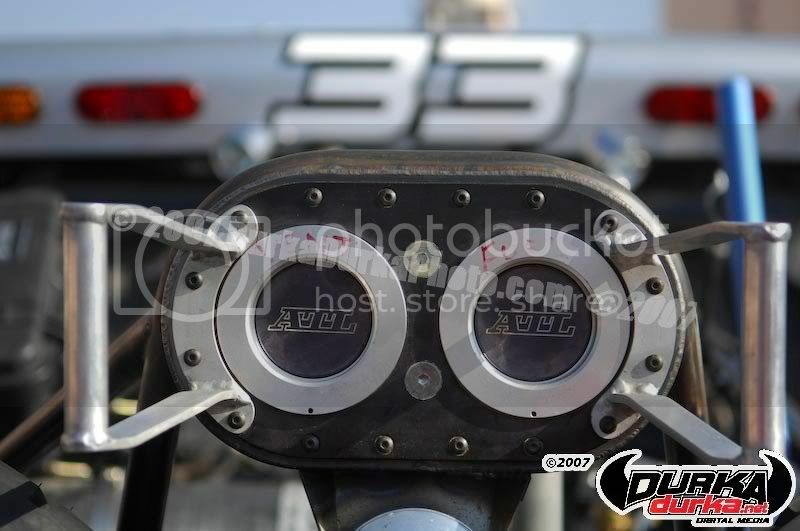 Top finishers in all classes where VW engines are required or allowed will be eligible. Additional associate sponsors, for the 2007 Tecate SCORE Baja 1000 were: Cotuco de Ensenada, Fideicomiso Publio para la Promocion Turistica de Ensenada, the government of Baja California Sur, the State Tourism Department of Baja California Sur the city tourism fund of Loreto and the city tourism fund of Los Cabos.